Vanoce….the Czech word for Christmas. It was our first Vanoce in our new home country and we went to Moravia to celebrate it with my husband’s family. They had the traditional Czech Christmas and I was glad we were there since I learned so much about typical Czech traditions. For example, they don’t eat the whole day and wait till dinnertime to have a full meal. Unlike in the Philippines where we eat ham, or roasted pig, they eat fish. My husband explained that the fasting and choice of food was from a Christian tradition. At Christmas time, they emulate the life of Christ. Jesus was poor. They don’t believe in Santa. For them, Jesus is the one bringing presents to the children. Children are told to sleep early so Jezisku (Jesus) can come and drop off their presents under the tree. At midnight, a bell will toll to signify that Jezisku just dropped off the presents. In my in-law’s household, we skipped this part since Jakub was too young to understand and appreciate any of it. 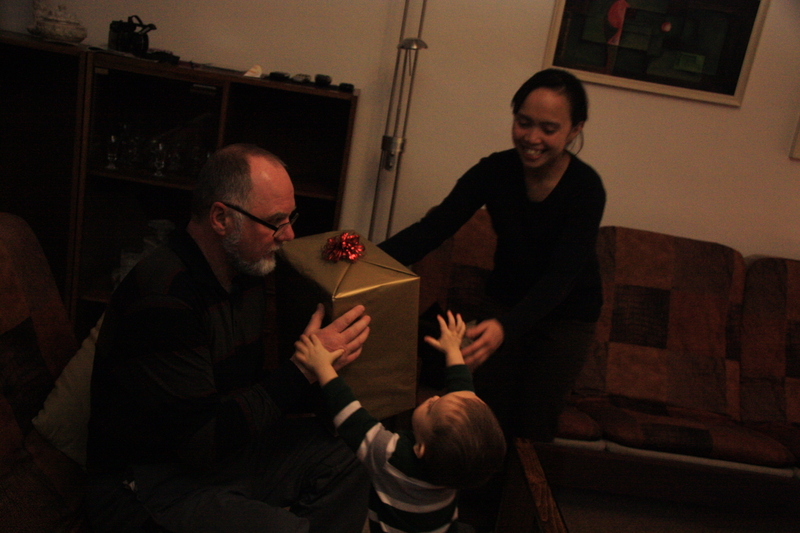 We went through the traditional gift distribution and him (Jakub) being the youngest had to distribute the gifts (another Czech tradition). What I also find most challenging is that baking Christmas cookies is a national sport. 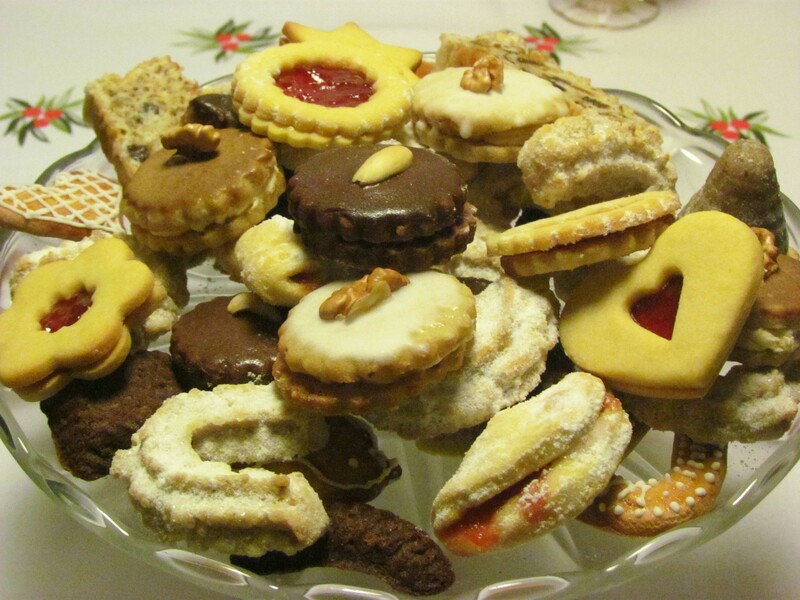 In almost all the homes we’ve visited, the woman of the house takes pride in serving the cookies she’s baked. Jiri’s grandmother who is already 80+ baked 10 varieties of cookies. His mom,12 varieties. There’s a lot of pressure for me now to make cookies next Christmas. Oh well, I have a whole year to practice. I will probably keep all of these traditions except for the fasting part….that was hard. 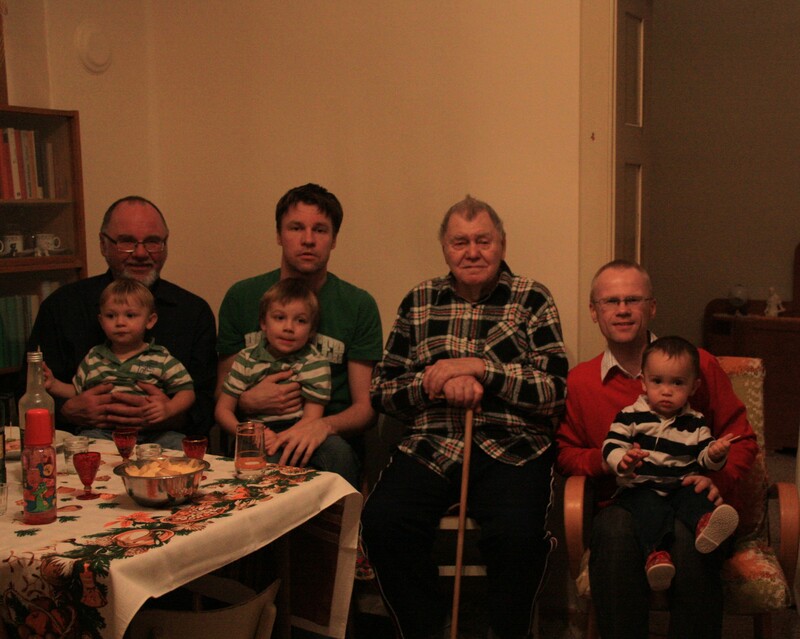 Four generations of Melichar men. 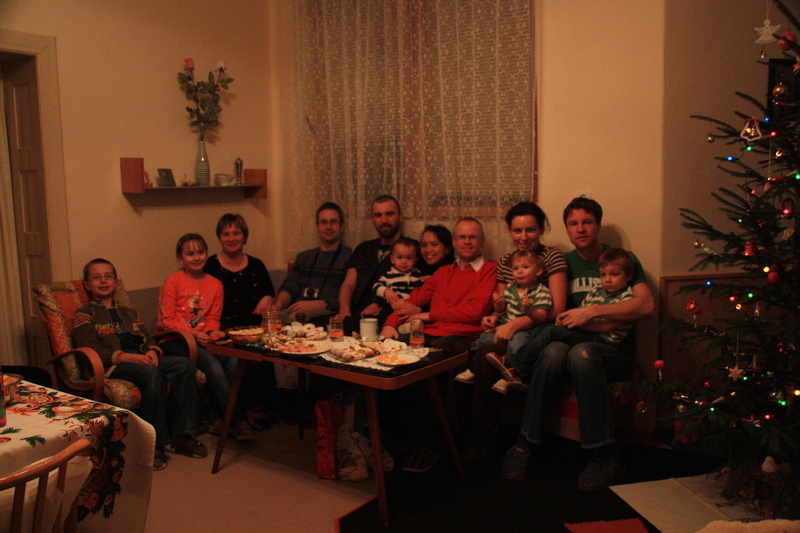 The highlight of our visit was the reunion with Jiri’s family. Everybody went to his grandparents’ house during Christmas day and simply celebrated Jesus’ birth by being together. It was a nice and warm feeling on a cold Christmas day. Everything was perfect except for the lack of snow. Most of the Czechs that I’ve talked to were sad about this. I was the only one happy. It seems like the Power-that-be knows that a tropical girl is here and wants to give her a Merry Christmas. Next What A Year It Was! Merry Christmas! 😉 those cookies look delish! What a lovely tradition emulating Jesus’ humble birth, except for the no ham part! I want my pork. The trade off is cookie-overload. Somehow, balance ra gihapon. hahaha Hi, Grace!